The World Health Organization estimates that by the year 2055, there will be 900 million people with hearing loss. We believe in the power of technology to help break down barriers and make life a little easier for everyone. Today, we’re introducing two new apps for Android designed to help deaf and hard-of-hearing people: Live Transcribe and Sound Amplifier. Live Transcribe is available in over 70 languages and dialects. It also enables two-way conversation via a type-back keyboard for users who can’t or don’t want to speak, and connects with external microphones to improve transcription accuracy. To use Live Transcribe, enable it in Accessibility Settings, then start Live Transcribe from the accessibility button on the navigation bar. Starting today, Live Transcribe will gradually rollout in a limited beta to users worldwide via the Play Store and pre-installed on Pixel 3 devices. Sign up here to be notified when it’s more widely available. Everyone can use a little audio boost from time to time, especially in situations where there’s a lot of background noise—like at a loud cafe or airport lounge. Today, we’re launching Sound Amplifier, which we announced at Google I/O last year. With Sound Amplifier, audio is more clear and easier to hear. You can use Sound Amplifier on your Android smartphone with wired headphones to filter, augment and amplify the sounds in your environment. It works by increasing quiet sounds, while not over-boosting loud sounds. 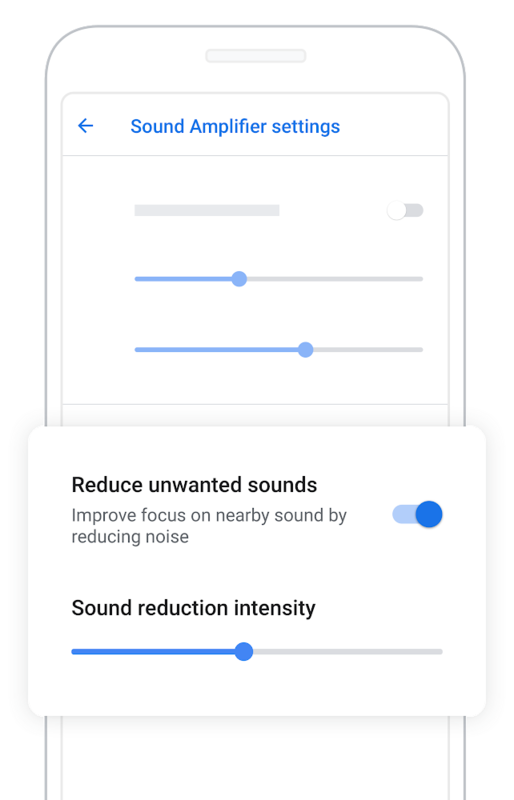 You can customize sound enhancement settings and apply noise reduction to minimize distracting background noise with simple sliders and toggles. 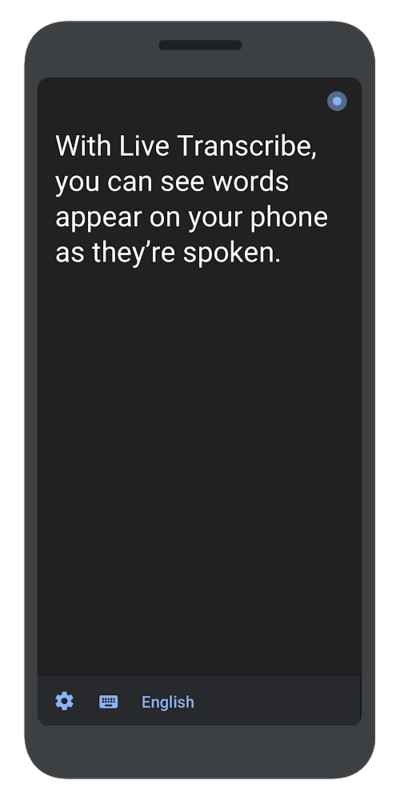 Sound Amplifier is available on the Play Store and supports Android 9 Pie or later phones and comes pre-installed on Pixel 3. With both Live Transcribe and Sound Amplifier, our goal is to help the hundreds of millions of people who are deaf or hard of hearing communicate more clearly.